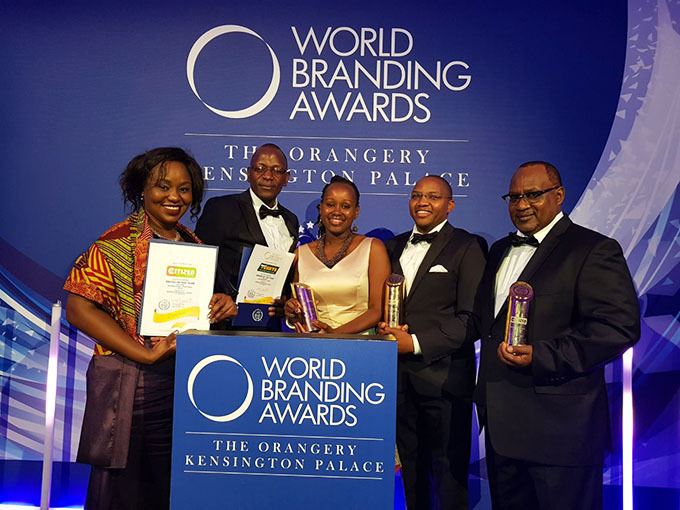 Retailer Tusker Mattresses Limited (TML) ongoing corporate transformation efforts have received global commendation at the prestigious 4th World Branding Awards held at the Kensington Palace in London last evening. In a rare commendation for a local brand, TML which runs the Tuskys branded chain of retail stores won the Kenya Supermarket Brand of the Year category in the awards which focus on branding excellence. The World Branding Awards is the premier awards of the World Branding Forum for corporates drawn from the Commonwealth and beyond. The global win also completes an awards hat trick for Tuskys which has also been adjudged an East Africa Superbrand Top 20 and Samsung Africa’s most valued distributor in East Africa award winner. 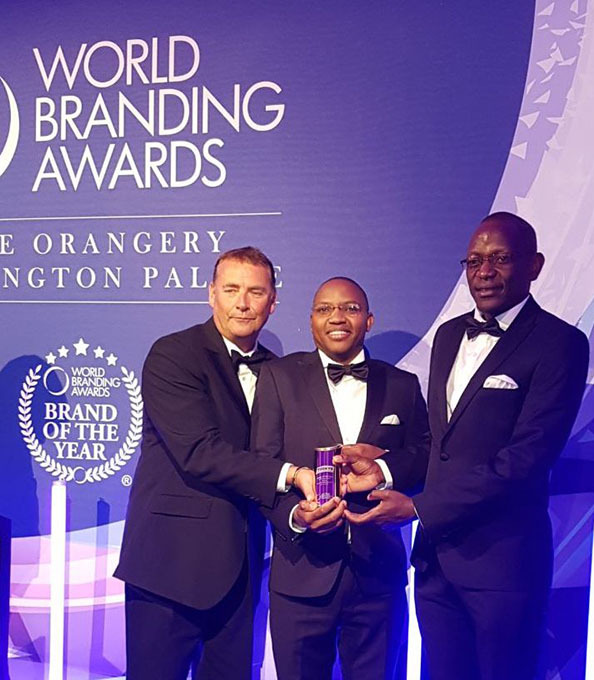 Alongside Tuskys, local Safaricom Limited and Royal Media Services, Citizen TV brand also picked national category awards presented by World Branding Forum Chairman, Richard Rowles. In London, the judges, in considering Tuskys’ nomination, confirmed that the firm had showcased superb progress in its efforts to separate ownership and management functions allowing the brand to maintain measurable management and customer experience standards. National tier winners included Citizen TV (Kenya), Safaricom (Kenya), Haier (China), Pandora (Denmark), Hermès (France), Adidas (Germany), Chow Tai Fook (Hong Kong), Airtel (India), Telkomsel (Indonesia), Ferrari (Italy), Pocari Sweat (Japan),) Maybank (Malaysia), Campina (Netherlands), SPAR Park ‘n’ Shop (Nigeria), Omantel (Oman), Gourmet (Pakistan), BENCH/ (Philippines), Sagres (Portugal), Qatar Airways (Qatar), Kaspersky Lab (Russia), Al Rajhi Bank (Saudi Arabia), BreadTalk (Singapore), Amarula (South Africa), Samsung (South Korea), Santander (Spain), UBS (Switzerland), Taiwan Beer (Taiwan), M-150 (Thailand), Efes Pilsen (Turkey), Etihad (United Arab Emirates), and British Airways (United Kingdom), among others. The World Branding Awards is the premier awards of the World Branding Forum, a registered non-profit organisation. The awards recognise the achievements of some of the world’s best brands. There are three major tiers of awards – the Global Award is awarded to international brands, Regional Award for brands that cover a geographic region, while the National Award is awarded to brands that are household names in their country of origin. Next articleMerck KGaA gives back to society through Merck Foundation’s program to improve access to Cancer Care.